Fill out our simple form and get quotes from local churros . This increasingly popular, traditionally sweet snack will likely prove a hit at any event. Served with chocolate, syrup or custard, Churros are a delicious dessert that will cause a stir as your guest watch in anticipation for their sweet treats to be presented. 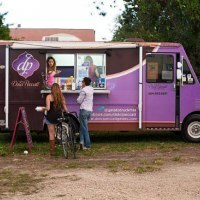 Try our delicious “Homemade Churros” freshly made at your venue or party. (100% Natural) served with a rich chocolate dipping sauce & cinnamon sugar. Delicious, hand made, traditionally fried churros with mouth watering Belgian chocolate sauce. All made to order and displayed on a lovely traditional red, white and black fun fair style cart. 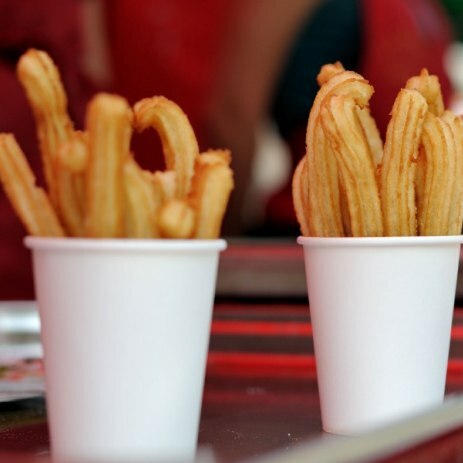 Churros are an original Mexican, Spanish dessert and have reached huge popularity, especially in the US. Now gathering popularity in the UK, these much loved doughy batons will surely be an exciting addition to your event menu. 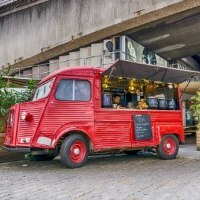 With churro van or churro stand hire available you can see them being made there and then, providing entertainment and catering all in one.